No wonder Margaret Moseley is anxious to get home. Although this photograph was taken in June, you can see why I frequently get a call saying, "You ought to see it out here today. It's the prettiest it's ever been." Indeed, when Margaret gets out of the hospital (any day now), she'll be looking out at a sea of camellias in bloom. This is one of the views from her sun porch, which is entirely glass on three sides. It's almost dreamlike when you stand and look out at the garden. I've told Margaret so many times that part of the wonder of her garden is the way the light comes in. Of course, it doesn't hurt that she has so much in bloom all through the year and has ample evergreens to provide a stunning backdrop for colorful foliage and flowers. A word about the organization of her garden. She started her beds by picking up rocks along the road and bringing them in to outline the area around tall trees. As the years passed, some of the trees have either fallen or had to be taken down (mostly very tall pines), but she's planted smaller ornamental trees like sourwoods and Prunus mume to take their place. One view, if you stand to the left of where I was when I took this photograph, you'll see the trunk of a pine that broke off. It reaches up about 10 feet and is smothered with a type of climbing hydrangea, Schizophragma hydrangeoides 'Moonlight', creating a billowing column of very handsome silvery foliage. In May, the white lacecap blooms are spectacular. As Margaret added plants, the rocks had to be moved further away from the trees, creating a series of large, irregular beds, all chock full of perennials, shrubs, bulbs, ground covers and trees. Lush grassy paths connect the beds and wind through the garden past evergreen rhododendrons, Camellia sasanqua and C. japonica. Viburnums come to life in March and April, followed by iris, peonies and roses in May and a large collection of hydrangeas, hostas, daylilies and gardenias in June. All during the summer, there are healthy mounds of ferns and lacier fronds that come up through shrubs or perennials. Of course, I can only begin to name a smidgen of what's in this garden. I've already forgotten to mention all the varieties of clematis that wind through the smaller trees, the bottlebrush buckeye that has become a giant, and the mass of fragrant Confederate jasmine that hangs from the carport. The garden has changed over the years. Some things are gone now, but other plants have taken their place. I'm going back through the dozens of slides I have of the garden so I can get them made into digital images. I've also contacted a writer at a magazine (Margaret's garden has been in many national publications and on TV and in newspapers, as well) who said he'd try to find photographs that appeared in several issues and in a book on Southern gardens. What I'd like to do is organize everything into a book. I have all the newspaper columns and magazine features I did. 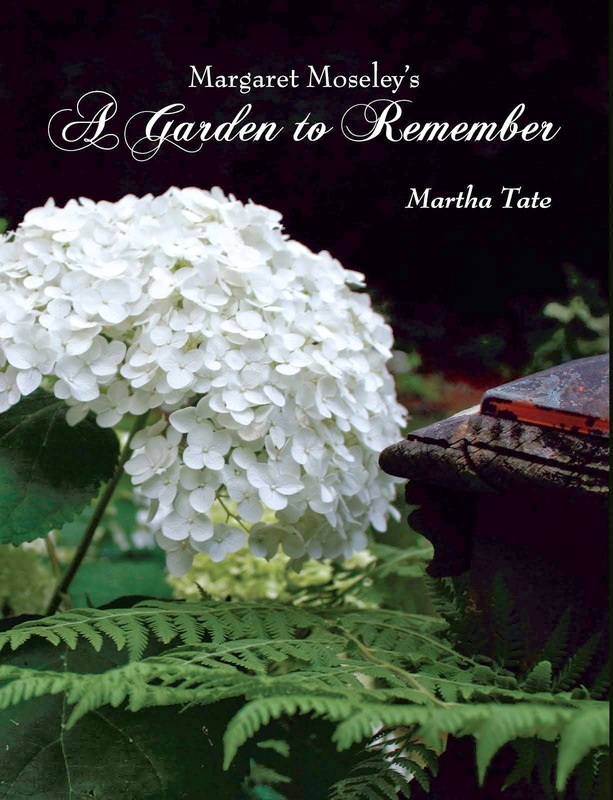 Margaret is a garden writer's dream, with funny quotes and lots of good information for both novice and more experienced gardeners. Margaret and I used to grouse about a best selling book a woman had written about her garden that was not nearly as large or complicated (nor as beautiful) as her own. Margaret's story is about friendships made, sharing who knows how many thousands of plants, welcoming local garden clubs and visitors from as far away as Australia, the thrill of watching the seasons come and go, and just the pure enjoyment of creating a well-loved garden over the course of four decades. I hope I can pull this together. I enjoy your posts on Margaret's garden. She is an inspiration. I hope your book becomes a reality.